It's estimated that up to 3/4 of adults over age 35 have some degree of gum disease. This can usually be prevented with flossing and brushing, but if it's already progressed you may need extra care from our team at Specialized Dentistry of New Jersey. Talk to us if you're experiencing bleeding gums. Studies show that people look younger when they smile. 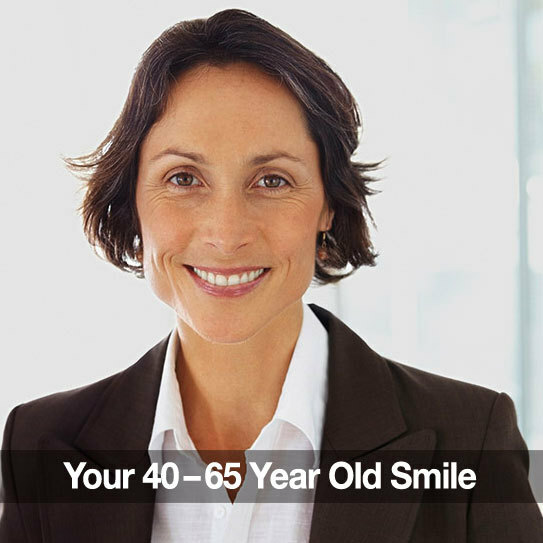 And the AACD (American Academy of Cosmetic Dentistry) recently reported that most Americans 50 and over believe that a smile overcomes the effects of aging more effectively than any other physical attribute. Nothing makes you feel younger than a healthy, vibrant smile. Talk to us about cosmetic dentistry options. You're in the prime of life. Stay the course, stick to your great oral health habits, and don't neglect your regular check-ups. Through preventative care you really can keep your healthy smile for life. Take good care of your smile now to prevent problems down the road. If you have any questions about tips mentioned in this post, don't hesitate to ask us about it. Comment below, or give us a call.